At the core of the dispute between the two countries is not whether a maritime boundary should exist, but the method of delimitation of the boundary and/or affirmation of an already existing maritime border. Both countries agree that the applicable law for the delimitation, in this case, is the 1982 UNCLOS Convention and other rules of international law and that the 720 km land boundary that separates them was established by a series of Agreements between Great Britain and France with Boundary Pillar (BP) 55 serving as the termination point. Both countries also agree on the precise geographical coordinates of BP 55 and further acknowledge the fact that they previously agreed that BP 55 constitutes their agreed land boundary terminus (LBT). 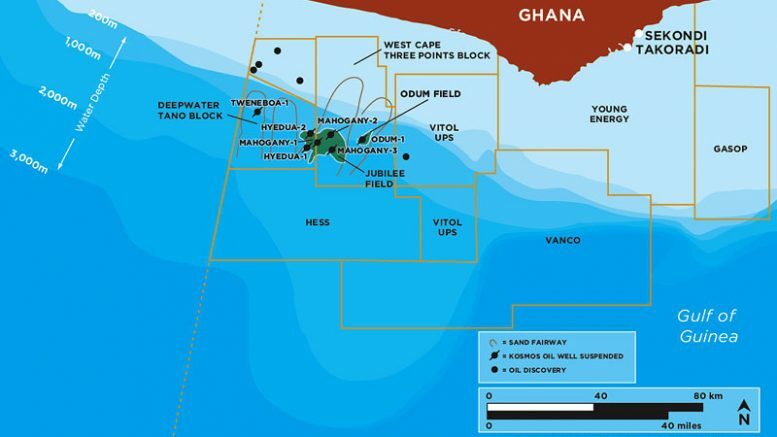 Ghana is asking the Court to affirm the customary equidistance boundary and has produced an array of maps dating back to the immediate post-independence era to back its claims. The Attorney General of Ghana argues “… this is not a maritime delimitation case, but rather a request to declare the existence of a boundary which the Parties have themselves long agreed and delimited in practice and in consequence.” The question that arises is whether indeed this is the case subject to the relevant geography, international or case law. Ghana’s primary argument is that there exists an over fifty-year-old gentleman’s/tacit agreement with Cote d’Ivoire (CI) based on the “EQUIDISTANCE PRINCIPLE” whereas Cote d’Ivoire argues that no such agreement exists. CI says the equidistance method claimed by Ghana was “misfit, inappropriate and non-equitable” and argues for ITLOS to adopt the Meridian-based ANGLE BISECTOR APPROACH, which takes into account the relative convexity and concavity of the two coastlines in order to arrive at a more equitable outcome. In fact, such an approach was adopted in settling similar disputes in the sub-region namely Guinea vs Guinea-Bissau, Senegal vs the Gambia and far afield in Honduras vs Nicaragua case. However, in playing the compromise card (and somewhat weakening its case), CI is asking the Court to consider possibly applying the “THREE TEST EQUIDISTANCE METHOD” should they decide not to pursue their preferred bisector approach. This three test approach is premised on the equidistance method but takes into account relevant circumstances such as the coastal geography. How is this implemented in practice? A provisional equidistance line is first drawn based on the agreed land boundary terminus. It is then adjusted in a second stage, if necessary, depending on the relevant circumstances – concavity or convexity of the coastline, etc. The third but important stage involves the court has to ensure that the result attained does not disproportionately favour the lengths of the relevant coastlines and maritime areas attributed to each of the Parties. See Maritime Dispute (Peru v. Chile) at ICJ; Maritime Delimitation in the Black Sea (Romania v. Ukraine), at ICJ; Territorial and Maritime Dispute (Nicaragua v. Colombia); Bangladesh v. Myanmar Judgment at ITLOS 2012; Tunisia/Libyan Arab Jamahiriya at the ICJ and Bangladesh v. India. It is important to note that ITLOS bases its arguments on well-established jurisprudential basis and legal principles – that is, the “test of equitability” in this case. 1. Dundua, N. (2007). Delimitation of maritime boundaries between adjacent States. New York: United Nations, Division for Oceans Affairs and the Law of the Sea. (C) Theo Acheampong, University of Aberdeen, 2017.